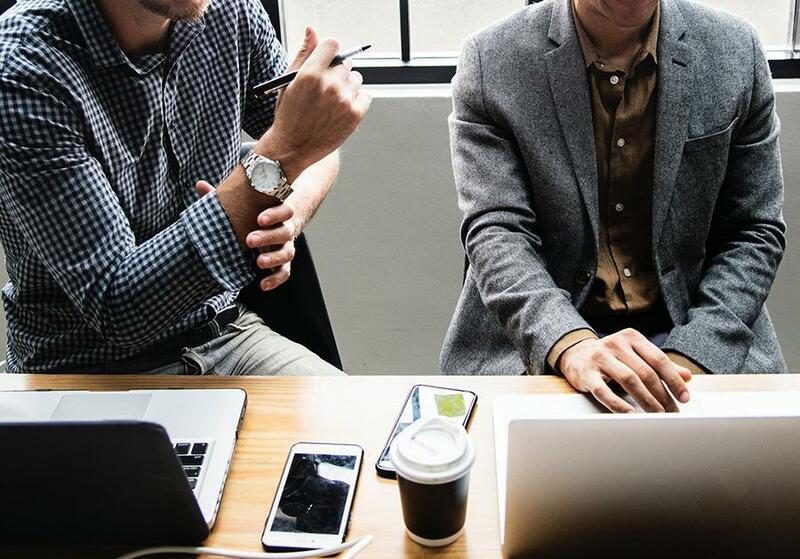 How to get tasks off your plate fast, on-board new talent & get organised with your own ‘filing cabinet’ of SOPs (Standard Operating Procedures). You’ve got your business up and running and it’s just about ticking along. But there are problems. You’re struggling under the weight of all of your tasks. You need to get your new talent onboarded and you have to get the business organised. It’s chaos that you need to bring under control. Once you manage that, you’re ready to rock ‘n’ roll and start scaling your Amazon business. Ultimately, my aim is to help you build momentum so you can unlock capacity for growth in your business. The biggest problem your business is going to face is reaching capacity. I experienced that myself when I started my Amazon business in 2014. Things took off like a rocket. But sales eventually plateaued and then started declining. I just had too much on my plate. Get tasks off your plate fast. Build your filing cabinet of Standard Operating Procedures (SOPs). Bring these three things together and you take back control. As a leader, you want to focus on your business’ creative vision. You want to plot your course for growth, form partnerships, and all of that other stuff that will help you scale. Instead, you’re stuck putting out fires. You’re dealing with all of the admin, which means your focus gets pulled away from the business. It’s like pushing a rock up a hill. I’ve seen businesses fail because they can’t get the daily tasks off their plate. It’s an anchor around your business and you need to get those tasks off your plate to keep growing the business. It’s all about your systems and processes. That’s the only difference between a small business and a big business. The problem is that this isn’t something we inherently know how to do. And we’re definitely not getting taught. It’s all about what you do before you start offloading tasks. That’s where people go wrong. They get a VA and just send everything to them with no structure. Things get muddled and missed and it all starts to go wrong. You need to understand that everything is a system. Download means downloading all of the tasks you’ve done over the last couple of weeks. Just throw it all onto a piece of paper. From there, you track your time. The best way is just to print out a time tracker spreadsheet and have it on your desk and record what you are doing every 30 mins. Capture it ALL. This will change your entire life. You will start to recognise what is taking you away from strategic activities. Then, you Rank. This means you put the most frequent, low-value tasks at the top of your list. You’re going to offload those tasks and save yourself a ton of time. You should be able to pull a top 10 or 15 from the list. This forms the basis for a new job posting if you do not have a team member to help you. This is exactly what the new hire will take off your plate. You can apply this to pretty much anything in your life. After that, it’s a case of recording the videos. Record yourself doing each task so you have the procedure that you follow nailed down. Loom is an awesome free service for this. At the start of the videos always give the context before the content. That’s going to give context to your content so your team members understand the task’s importance. 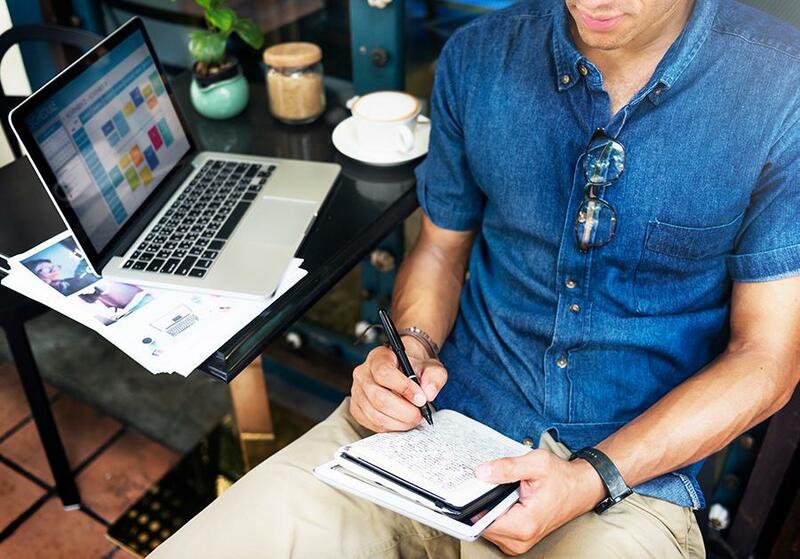 You’ve just created a video SOP for that task, for the team member to create a written document (SOP) that must be approved by you first, then be used every day to execute that task. Repeat this process for each task to offload. Now, it’s time to onboard your people. It’s time to get your people from novice to ninjas. Most people spoon-feed tasks to their new employees. You micromanage them, which actually makes them a liability. Nobody wants that. Plus, you end up still focusing on the $5 tasks instead of the $1000 tasks. I use an eight-week onboard model that allows me to hand over all of the tasks to my new hire. Week one is all about connection. You introduce the team member to the business, your team, and your vision. You set up all of their tools and give them access to your company ‘university’. Week two involves getting clear on the company’s priorities. This is where you educate the new hire about the projects you have in place and what role they’ll play in the business. Week three is all about your routines and getting set up. This includes stuff like your daily huddles and weekly workshops. You’re establishing their rhythms in the company. Week four is where you’re ramp up their responsibility. This assumes they’re suitable for the role. You’ll have them take on some more key tasks. Week five is where you start handing over the tasks you want off your plate. You prepare the training and give them the outcomes. They take ownership of the role. Week six is all about lift off. Your new team member is now working on higher responsibility tasks and you have more time to focus on other stuff. Week seven and eight is all about recalibration. This is where you check in with the new hire to see if they’re handling what they’re doing. Can they do more? You recalibrate based on what’s happening. Finally, week eight is about the review of your onboarding process. You’ll celebrate together because you’ve come a long way in a short space of time. That’s the general framework. It’s not going to work perfectly every time. But you’re going to give your new hire responsibility and make them feel appreciated instantly. This is the simplest part because you’re doing this as you go. Remember those SOP videos I spoke about earlier? These get turned into procedures that go into a virtual filing cabinet. Your filing cabinet is basically your online university. It’s where you’re going to store all of the information that your business needs to operate. You break all of this info down into sections, such as customer service, invoicing, etc. Then, you make it accessible to your team so they can grab the info whenever you need it. You can use Google Sites, Google Sheets or something like process.st. You can store all of the systems and procedures in any of these so they’re accessible to everyone on your team. You record the video, it gets turned into a written SOP and then you store it in the cabinet. Every time you record a video, you create a new SOP. Soon, you’ll have a ‘filing cabinet’ full of written SOPs that cover your business’ processes. They’re all accessible and they bring control to the chaos that was your business. You’ve established your SOPs for all of the tasks that you need to get off your plate. You can follow the eight-week checklist to onboard your new people. And you’ve built your filing cabinet that has all of the key info stored inside it. You get you from chaos to control and remove that glass ceiling which was preventing your company from growing. Are you ready to learn more about how you can take your business from chaos to control to scale?If so, just register for our webinar to take a deep dive into the improvements that you can make. 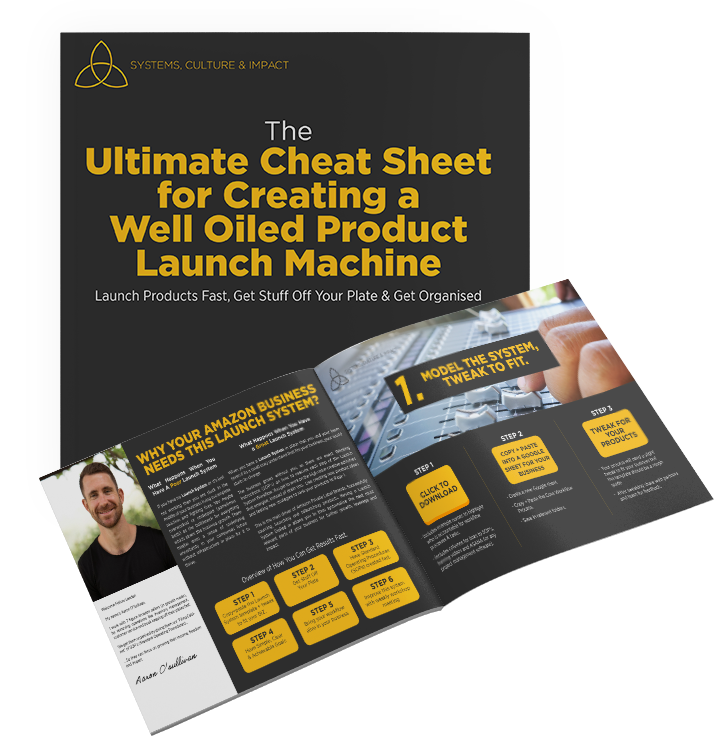 1.Get access to ‘The Ultimate Cheat Sheet for Creating a Well Oiled Product Launch Machine.’ It shows you how to launch products fast, get stuff off your plate & get organised. It’s FREE and you can grab it HERE. 2. Join our Group – ‘Email Marketing for Amazon & eCommerce’. It’s our community where biz owners learn to get stuff off their plates, get organised and unlock cash flow in their email lists while building a real relationship with their audience. 3. If you’re looking for a Rockstar Graphic Designer who can totally revamp your product images digitally, we can help. He’s been with us 4 years and is incredible at creating powerful images that grab attention in the Amazon search results…to convert more lookers to paying customers…helping you build momentum, improve rankings and grow profits…Don’t take our word for it. Click here to see what others are saying. 4. Apply for our ‘Done For You’ Email Marketing Agency. I’m working closely with 7/8 figure brands to and turn their email lists into thriving profit centres by driving sales on and off Amazon. We’re driving page 1 rankings, 5 star reviews and long term value of your customers…Without this being an additional expense. (Pay As You Profit).